A beautiful, well maintained lawn enhances your property value and provides a place for recreation and relaxation. But you may be making more work of your yard than is necessary. A few simple changes in your lawn care practices can save you time and money, while improving the quality of your lawn! You’ll also be protecting water resources. Learn how to care less for your lawn and more for clean water with our Lawn Care Tip Sheet. Make your lawn cheaper and easier to maintain by mowing high — three inches is the rule! The roots of your lawn grow as deep as the grass grows tall, so taller grass has deeper, healthier roots. Keep your lawn three inches or higher, and never cut off more than 1/3 of the blade each time you mow. Leave the clippings right on your lawn for a natural fertilizer rich in nutrients and organic matter. Over-watering can damage plants, stimulate fungus, and leach nutrients out of the soil. Create a smaller lawn area. Use trees, shrubs and flowers to landscape the rest of your yard. Landscape with deep-rooted native plants. They are naturally suited to our weather and soil conditions, which means less work for you! See our page on Native Plants for more information. Put rainwater to work for you. Border your lawn with deep-rooted flowers and shrubs to prevent water runoff. Direct down spouts into garden areas, or install rain barrels to collect water for use during dry weather. Mulch grass clippings and leaves back into the lawn. Clippings that are mulched and returned to the lawn all season can contribute up to 25 percent of a lawn’s seasonal fertilizer needs. The additional organic matter in the soil will also help it retain moisture. Mulching is also a terrific option for fall leaves. Faculty at the Turf Research Institute at Michigan State University successfully tested mulching over 18 inches of dry leaves into lawns with healthy results year after year. If you fertilize, protect water quality. Check out HRWC’s tips on getting your soils tested and using fertilizer at Go Phosphorus Free.  Healthy Lawns and Gardens Program of the Southeastern Oakland County Water Authority has a website of information and resources for homeowners on water-friendly fertilizing practices and lawn care. We especially like their 2-page pdf, Healthy Lawn Care Tips. RAIN GARDENS SLOW THE FLOW OF STORMWATER THAT ENTERS OUR STREAMS AND LAKES. Rain gardens are beautiful landscaping features that capture, hold and soak in runoff from storms. They are specifically designed for areas where rain water habitually pools or to which it is deliberately channeled. Their loose, deep soils and deep-rooted native plants absorb water and filter pollutants. Rain Gardens are low maintenance, drought tolerant and environmentally friendly. They beautify your property and your neighborhood. They help keep water away from your home’s foundation. They can be designed as a manicured formal garden or you can create a more natural cottagey look. You can choose plants that purposely attract butterflies and other wildlife. Learn the surprising benefits of rain gardens and native plants with our Native Plants Tip Sheet. For those who live in Ann Arbor, you can earn a stormwater rate credit with the installation of a rain garden on your property. Washtenaw County Water Resources Commissioner. Is a partner in HRWC’s Green Infrastructure in Swift Run and Millers Creek Rainwater projects. Its rain garden program offers free design and implementation help to homeowners. Even for the do-it-yourselfer, its website is loaded with good how-to information including lots of photos, site designs and plant lists. Michigan Department of Environmental Quality. Has a downloadable version of “Landscaping for Water Quality” a 50 page guide for understanding the concepts and applying garden designs for improving Michigan’s water quality through landscaping practices. It provides detailed how-to information including site designs and plant lists. 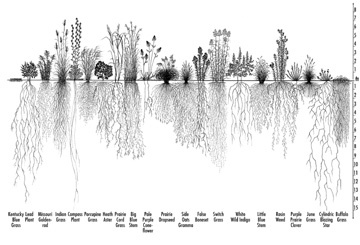 Native plants have deep, thirsty roots that retain water on your site and filter out the pollutants in runoff. They help stabilize soils and prevent erosion. Native plants are drought tolerant, so you water less. Native plants are disease resistant and rarely require fertilizers, so you save money. Native plants improve soil conditions on their own, so you save time. If you live in an urban or suburban neighborhood, use native plants to create attractive, low-maintenance garden borders around your lawn or use them on a steep slope or berm where mowing is a challenge. If your home is on a lake, river or stream, create a native plant buffer along the water’s edge. Keep the buffer at least 20 feet wide, with narrow access paths winding down to the water. Learn the surprising benefits of native plants with our Native Plants Tip Sheet. Reducing water runoff from yards is key to protecting water quality. Water that runs off lawns and gardens can contain pollutants like fertilizers, dirt, and debris. When polluted runoff enters storm drains and ditches, it is discharged into the river system unfiltered. Native plants can thrive on rain water and generally don’t need fertilizing. Their resilience is due in large part to their massive root systems. Because the roots reach deep into the soil – in some cases, as far down as ten feet – the plants can access water even during dry times. New root growth reduces soil compaction, and the die-off of old roots adds humus and nutrients to the soil. Using native plants, you can create a stunning garden that blooms all season long. Native plants offer a unique pallet of color, texture and shape, plus a wide variety of heights and sizes. Attractive, well-placed native plants enhance your garden and property. When purchasing native plants, be sure to ask the exact source. Because plants vary from region to region, it is best to use stock from your local area or the next closest geographic region. Collecting plants in the wild can devastate plant populations, so be sure the stock was propagated at the nursery by plant division, from cuttings or from seed. Learn more below for suggested native plant sources, or ask your local nursery about obtaining native stock. Wild Ones. A national nonprofit organization that promotes the use of native plants in private and public landscaping. Native Plant Information Network. This website has lots of information on native plants including, (a) an online database of more than 2,900 native plant species, with color photographs, growing information, and more, (b) a national directory of more than 2,000 landscapers with experience using native plants, (c) a national directory of native plant and seed suppliers, and (d) downloadable fact sheets from the Wildflower Center’s Clearinghouse, including regional Recommended Species lists, Native Plant Bibliographies, and Native Plant Organizations lists. Michigan Native Plant Producers Association. A group of independently owned nurseries located throughout the state of Michigan that grow and sell Michigan native plants and seeds, including trees, shrubs, wildflowers, grasses, and ferns. Natural Area Preservation Division of the Ann Arbor Parks and Recreation Department. 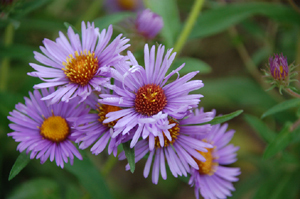 NAP’s website has information on Michigan native plants including short lists of Michigan native plants for getting started. Categories include Trees; Shrubs; Vines; Perennials; Ferns; Grasses, Rushes and Sedges. Be sure to look for details on how to get their printed brochure series which includes four detailed brochures written with the home landscaper in mind. Each one provides tips and useful information on creating a native plant garden along with native plant descriptions that include natural habitat, site tolerance, plant height, bloom time, color, and other ornamental features. University of Michigan Herbarium. The goals of this Michigan Flora Website are to present, in a searchable and browsable form, the basic information about all vascular plants known to occur outside of cultivation in the state. Searchable by common name, scientific name, genus, species and a whole host of other categories, it includes lots of information and a wealth of photos of native plants. Plants that are “native” have evolved in a particular region over thousands of years. They have adapted to the soil conditions, moisture conditions and weather conditions of that region. Native plants occur in communities, that is, they have evolved together with other plants and animals. As a result, a community of native plants provides food and habitat for a variety of native wildlife species such as songbirds, butterflies and small wildlife. As the seasons change, you will enjoy watching a host of wildlife in your garden. Cultivating native plants helps protect the splendid biodiversity of our area. Biodiversity – a variety of different species – is important to the health of the ecosystem. Diverse plant populations are less susceptible to devastation by disease, and they support a wider range of wildlife. Non-native plants, also called exotic species, are those than have been transplanted from places where they did not evolve. In southeastern Michigan, sources of non-native plants include both other continents (Europe, Asia, South America, Africa, and Australia) as well as other ecosystem areas of the United States. THESE SHOULD NOT BE PLANTED! Introduction of non-native plants into our landscape has been both accidental and deliberate. If a non-native plant grows aggressively, it is considered “invasive” and can have devastating effects on other plant populations. Purple loosestrife, for example, was introduced from Europe in the 1800’s in ship ballast and as a medicinal herb and ornamental plant. It quickly spread and is now crowding out the native species that provide food for aquatic creatures in 42 states. Other examples of invasive species in the southeastern Michigan area that produce an overabundance of seedlings which can spread into natural areas and displace native plant species include: Norway maple (acer plantanoides), Autumn Olive (Eleagnus umbellata), Buckthorn (Rhamnus cathartica, Rhamnus frangula), Privet (Ligustrum vulare) and Honeysuckle (Lonicera japonica, Lonicera maackii, Lonicera tatarica). Trees are extremely effective at protecting our waterways. Trees soak up polluted stormwater with their roots and intercept rainwater in their canopies. They filter pollution such as pesticides, fertilizers, and animal waste out of runoff; and when planted near water, they shade the river and its streams, keeping them cool. Trees planted along streams and on slopes prevent erosion and form a valuable buffer system with strips of vegetation along streams and rivers, which filter pollutants, and slow and cool down runoff. The buffer zone becomes even more important as climate change increases the frequency and severity rainfall in the watershed. If you are planting trees on your property, find out which tree species will be healthy in the long-run by checking out our Tree Resilience Toolkit, which reviews climate change impacts on tree species of the Huron River watershed. To find out even more about how to select and plant trees, check out Michigan’s Department of Natural Resources guide for Tree and Shrub Planting. Rain barrels collect rainwater runoff from rooftops and allow you to direct it to gardens and lawns where it can be infiltrated by plants and soil instead of washing over pavement. When heavy rain and snowmelt wash over your yard and pavement, pollutants such as pet waste, fertilizers, pesticides, motor oil and dirt hitch a ride and head for the Huron River through the nearest storm drain. Unfiltered, untreated! Rain barrels slow the rapid flow of water that enters the Huron during heavy rains, helping to prevent volatile fluctuations that cause erosion. You Save Water and Money! Watering your garden and lawn takes up 40% of your household water during the summer. Using water from your rain barrel is free! Important Maintenance Components from the Low Impact Design Center, Inc.
We encourage all watershed residents to use rain barrels and know that they are not as easy to find as we would like. Ask your local hardware retailer to offer them for sale and let them know you’ll be the first buyer. Know of a good source for rain barrels? Have been using a rain barrel and have some good suggestions? Share your info with us. Send us an e-mail. Go phosphorus-free when you fertilize. Reduce the unnecessary application of phosphorus to your lawn and you’ll reduce algae and pollution in our water! Phosphorus is naturally abundant in the soils of southeast Michigan. Water runoff from fertilized residential lawns is the primary source of phosphorus contaminants entering the Huron River. During normal lawn watering or natural rain storms, unnecessary phosphorus washes into the storm drains. These empty into local streams and the Huron River, without filters or treatment. If you own waterfront property, it can wash directly into the adjacent waterbody directly or is carried by eroding soil. Phosphorus contributes to excessive aquatic plant growth, nuisance algal blooms and decreased oxygen levels in our freshwater lakes, rivers and streams. Starting in January 2012 a new Michigan Law, Public Act 299 of 2010, took effect. It prohibits the application of fertilizers containing phosphorus to turf grass (with exceptions). MORE INFORMATION. Many communities have local ordinances in place (City of Ann Arbor, Pittsfield Charter Township, City of Ypsilanti and Ypsilanti Township in Washtenaw County, Hamburg Township in Livingston County and Commerce and West Bloomfield Townships in Oakland County). Read more about it in the brochure below. How to Identify Phosphorus-Free lawn fertilizer. On the outside of product packaging you will see a sequence of three numbers. The first number indicates nitrogen content, which promotes top growth on plants. The middle number indicates phosphorus, for root growth. The last number indicates potassium, for producing strong stems and resistance to disease. If you are looking for a phosphorus-free fertilizer, the middle number must read “0”. As a general rule, look for turf grass fertilizers with zero phosphorus and avoid lawn and garden fertilizers, which are very high in phosphorus. Keep fertilizer on the lawn and off hard pavement. Immediately sweep up any spills, especially on sidewalks and driveways, and clean those surfaces with a broom not a hose. Never apply fertilizer right before a rain storm. Fertilizer that washes away from your sidewalks, driveway, and lawn enters the storm drain system, which directly connects to local creeks and the Huron River. Apply less fertilizer, less often. If you fertilize your lawn once each year, fall is the best time. In the fall, fertilizer can help your lawn repair itself from summer damage and prepare for optimal growth in the spring. In all cases, only apply fertilizer during warmer months when your lawn is no longer subject to freezing temperatures, generally April 1-November 15. Create a “no fertilizer” zone. Avoid applying fertilizer within 25 feet of any wetland, stream, waterway or stormwater retention or detention basin. Put your lawn to work. Maintain the lawn at a minimum height of three inches and, when you mow, cut no more than one-third of the height of the grass. Taller grass has a deeper, healthier root system, is more tolerant of drought, and resists weed infestation. When you mow, mulch the clippings back into the lawn. This adds nitrogen and organic matter to the soil, and prevents compaction (thatch). Clippings that are mulched and returned to the lawn all season can contribute up to 25 percent of a lawn’s seasonal fertilizer needs. More tips at Grow a Healthy Lawn. Learn what your lawn and garden need for optimum health and growth. The Michigan State University Extension Bookstore has Mail-In Soil Test Kits available for purchase. To use the Soil Test Kit, you follow the directions provided, digging up soil samples from your yard and mailing them to the University Extension service where they are analyzed. You will receive an email directing you to the MSU Soil Test website when your results are available. You will learn the optimum nutrients needed in a fertilizer for your particular soil. Simply following the general directions listed by the manufacturer on a package of commercial fertilizer can lead to overapplication of the products, and, for soils in this region, excess phosphorus application. Excess phosphorus, nutrients, and pesticides that are washed off fertilized yards along with stormwater causes problems when they make their way into our creeks and rivers. Soil testing also helps watershed residents determine exactly what nutrients are needed, which saves time and money for the homeowner. Healthy Lawns and Gardens Program of the Southeastern Oakland County Water Authority has a website of information and resources for homeowners on water-friendly fertilizing practices. A Homeowner’s Guide to Nutrition and Fertilization of Landscape Trees and Shrubs is a fact sheet from the Michigan State University Extension service.